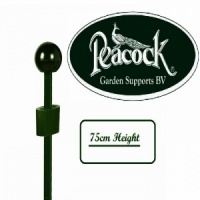 Peacock® Centred Support Grid 30cm 12" manufactured in Holland, from the high quality Pinnups Plant Support range exclusive to Peacock Garden Supports BV. Professional gardeners throughout the horticultural community trust the reliability and manufacturing quality of Peacock® Plant Supports, providing an unparalleled service life to those who trust quality over price. Made from sturdy galvanised steel with a dark-green soft vinyl coating. 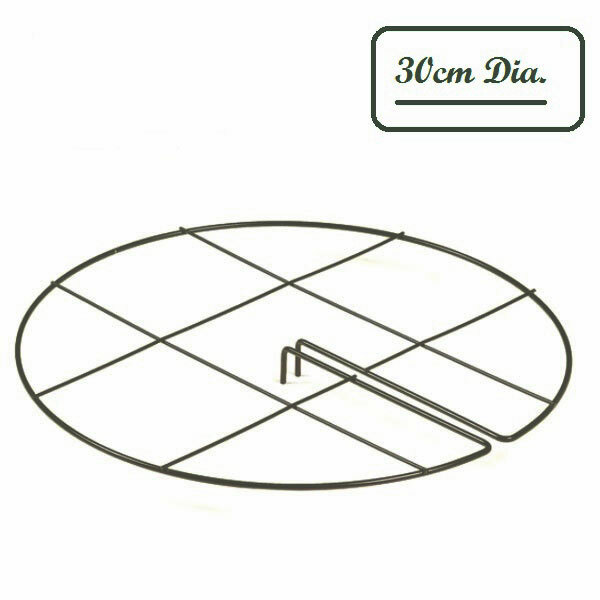 Peacock® Circular Support Grid compliments the Peacock multi component plant support system, offering a straightforward means to support plants that grow through the grid. 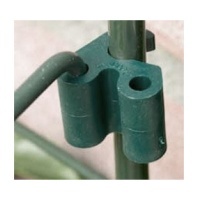 Connects to Peacock's Standard Garden Plant Stakes with adjustable couplers. 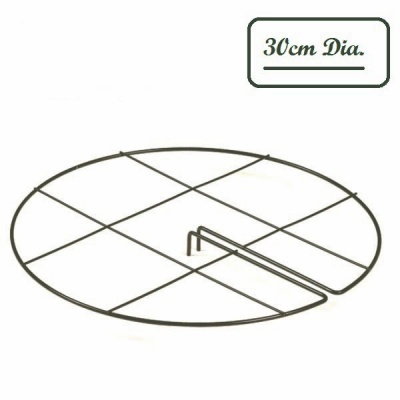 The circular support grid supports the plant from its centre helping to support fragile plants, by placing the grid over the plant in the springtime, so it can grow through the frame as the plant develops. Most popular for supporting large blowsy flowers such as peonies. Designed to not take away the beauty and focus of the flowers or plants themselves, Peacock plant supports simply do the job intended, whilst blending in with natures colours. Especially useful in mixed deep borders where large stemmed varieties need a support system that grows with the plants. Peacock Plant stakes and couplers (available separately) are used together with the support grids. This is good quality stuff. Should last a good few years. Easy to assemble. The Bosworth's packaging was poor - re-used cardboard cartons from another product, black plastic and lots (and lots) of sticky tape. However, it all arrived intact and once I had fought my way through the packaging the goods were in perfect shape.